Last week, I went to a great event at Lua restaurant organized by my friend and fellow foodie Ryan from Eat Drink Hoboken. 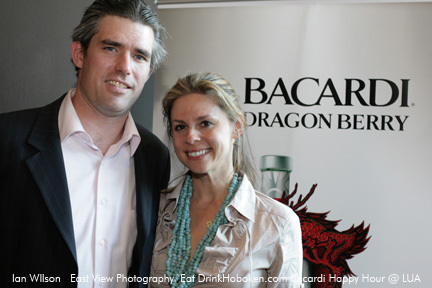 Delicious, signature Dragon Berry Bacardi drinks were served, while Ian Wilson snapped tons of photos. So inspired by the event, I thought I’d give you some drink recipes, made with real fruit and juices, that you can enjoy for Spring and Summer entertaining. Serve them virgin or spike with rum.